But then I sailed to Antarctica for the first time. And I began to wonder. Is my photography really just about life? In Antarctica life is as normal as death. Baby penguins are born in a nest built from the remains of a whale. An old, blind petrel is slowly dying while a seal gives birth just a few yards away. I saw the cycle of life right in front of me. There, life and death are not just closely related, they are one. It became clear to me that the beauty of life can only really be experienced if you’re prepared to accept death being part of it. 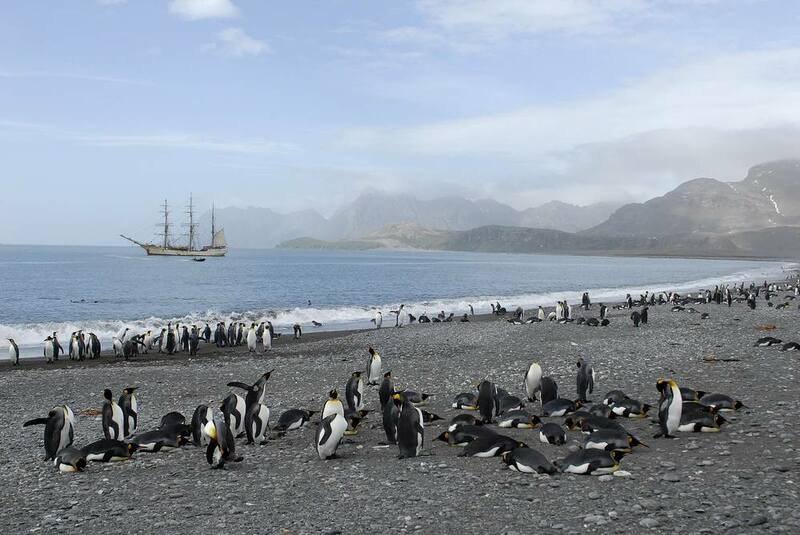 This was something I felt not only in Antarctica itself, but on board the Dutch barque Europa as well. 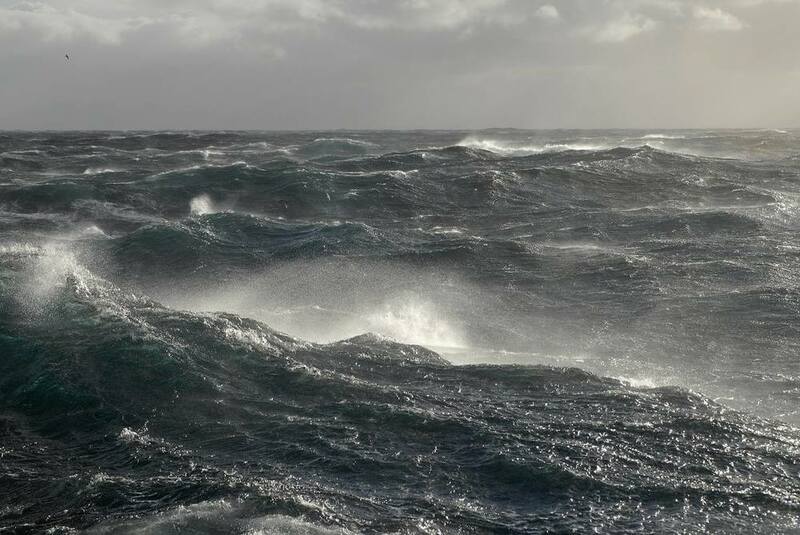 Sailing the Southern Ocean brings you closer to the thin line between life and death. You may feel this during a storm, while climbing the mast or sailing through an iceberg-infested sea during a pitch-dark night. 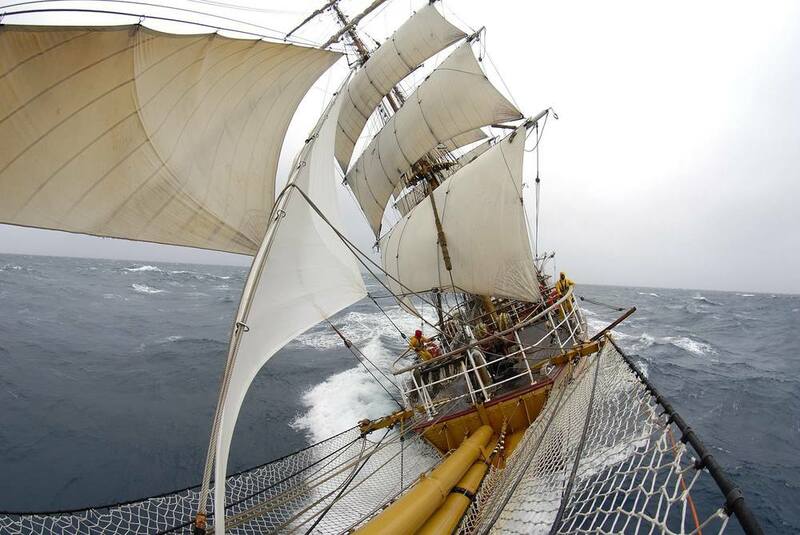 An ocean crossing on a tall ship like the Europa has all the same ingredients as life. I`ve experienced joy and fear. I’ve been happy and sad. I’ve felt warm and cold. I was lonely one day, among friends the next. 'Cold' is about places where life is as pure as it gets. The photographs tell a story about beauty and decay, about fear and hope, about black and white. They are, after all, about life. My Antarctic images have been published in magazines worldwide, including National Geographic Adventure, GEO Saison, Yachting World and Voiles et Voiliers. The best photographs have been put together in 'Cold - sailing to Antarctica', together with captain Klaas Gaastra's English logbook from this epic journey. 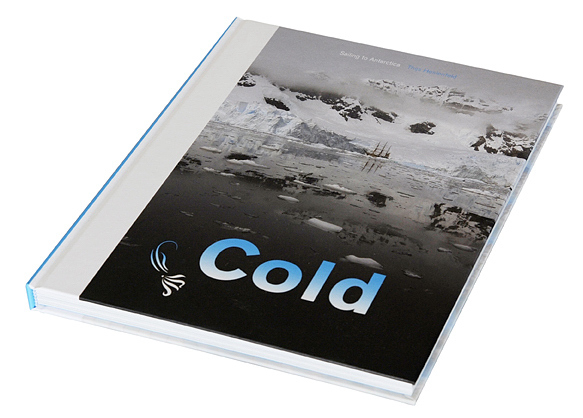 'Cold' got raving reviews and quickly became one of the best selling Dutch photo books. 'Cold' has seen two reprints since. Cold - Sailing to Antarctica, photographs Thijs Heslenfeld, with the English logbook from captain Klaas Gaastra, 184 pages, full colour, 21 x 26,5 cm, hardcover, ISBN 9789081247016, third edition, price € 34,50, SOLD OUT! Cold is a triumph. It is, of course, about the familiar wastelands of ice and empty sea. There are penguins, and hardy inhabitants eking out a living in spite of the elements. There is also decay, death and destruction amidst the natural forces at work in the last great wilderness on the planet. But Heslenfeld has recorded something else. His images have a subtle wonder, an element of danger, that almost mystical element, which is present in the early photographs of Polar exploration, exemplified by Frank Hurley, official photographer on Shackleton’s ill-fated 1914 Imperial Trans-Antarctic Expedition. Antarctica has become the subject of countless photographic books. But this one stands out from the crowd. (...) Dutch photographer Thijs Heslenfeld has succeeded where I feel others have failed. Cold isn't a sugar-coated portrait of the continent; it looks bleak, capricious and genuinely wild. (...) I've never been lucky enough to go to Antarctica, but after seeing this book, I feel I've got a little bit closer. Every step of the journey is visualised with brilliant photography. The book has few words - it really doesn't need them. What we are treated with is a collection of shots that show life and death, pleasure and pain, beauty and the beast. We see terrific action on board the ship, superb baron landscapes, wildlife. The photography is technical perfect, the images are stunning. Even if you have no desire to go to the edges of the world, or normally get enthused about travel books, here's one that will probably make a difference. Highly recommended. Who would have thought the cold could be so beautiful? In this stunning collection of images, Thijs Heslenfeld has created a portal to a land only intrepid souls venture to, and he's done it with creative flair and a sensitive eye. Cold is a successful book. 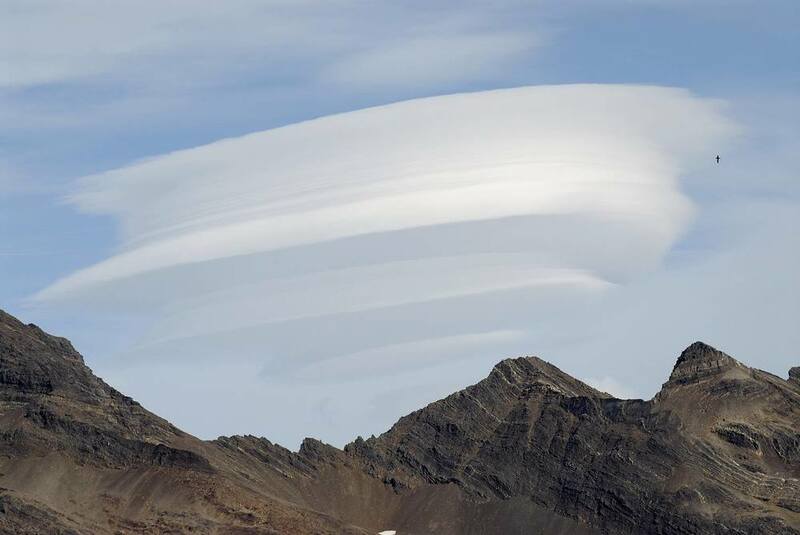 It is beautiful; the images are simply stunning.They present a slightly unusual view of Antarctica, unusual in that they don't offer up photos of fluffy penguins, nor do they conform to the uniformity of the stark images used to depict global warming. 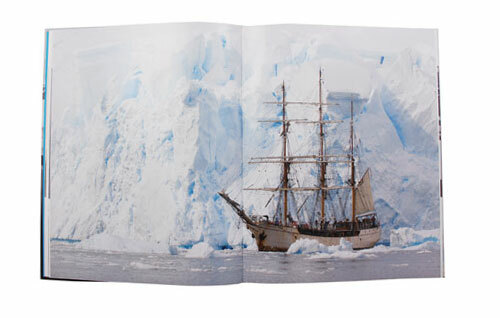 Packed with striking images of everything from the boats Heslenfeld sailed in and crew who manned them to towering icebergs and breathtaking wildlife shots, this hardback is a source of delight and inspiration.